For fun Master Unger enjoys riding/racing mountain bikes, running 1/2 marathons as well as participating in Tough Mudders and Spartan Races. He earned his Bachelors Degree in Philosophy and Sociology from West Chester University. He is both grateful and honored to be able to teach karate for a living passing along to others that which was taught to him. Dr. Marc Unger, Sr. began his career in Karate on March 6, 1976 at the age of 25. He is now an 9th Degree Black Belt in Grand Master Sam Price's Go Ju Ryu System. He is the owner and Chief Instructor of Marc Unger Karate located in Exeter, CALIF. He is a decorated tournament competitor, having retired from competition in the year 2000. He earned his Doctorate in Theology in 2010. He is a Major in the California State Military Reserves and serves as a Chaplain. All of five of his children are Advanced Black Belts. Marc Unger, Jr. began his career in Karate at the age of 8 under the tutelage of Grand Master Sam Price in Hutchinson, Kansas in 1980. He has since studied with many nationally and internationally recognized martial artists in a variety of systems. Marc has experienced first hand the benefits of soft style, hard style, and hard/soft style training over the years. Despite his many rankings he still considers himself very much a student of the arts. He continues to compete in karate tournaments around the North East region. He is the owner and Chief Instructor of the Rising Sun Karate Academy located in Exton, PA.
Daniel Unger began training at the age of 5. He was a fierce competitor having earned about 250 trophies including 19 Grand Championships during his short life span. After the terrorist attacks of 2001 he determined he must join the military and serve his country. On May 25, 2004 Daniel saved the lives of two Iraqi civilians while serving his country in IRAQ. Daniel sacrificed his life in order to save these civilians. He was 19 years old, loved the Army, and was proud to serve his country. 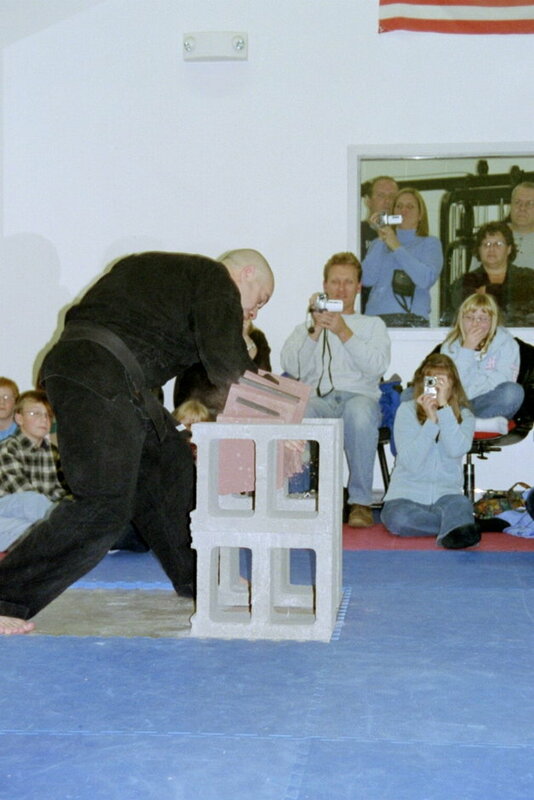 On April 2, 2005 Daniel was posthumously promoted to 5th Degree Black Belt. In 2007 he was inducted into the USA Martial Arts Hall of Fame along with his father, Marc Unger, Sr.
Daniel will be forever remembered by all that knew him as a HERO! David Unger began training at the age of 5. He is the owner of Unger's Karate Academy in Exeter, California. He has won over 200 trophies in competition and still competes whenever possible. He is the proud father of 2 girls and a son and looks forward to passing along the family tradition of martial arts onto them. Elizabeth Unger began training at the age of 4-1/2. She has trained for over 20 years now and was also a fierce tournament competitor. She is now the owner of her own dance academy, Underground Dance, in Costa Mesa Ca. Anna Unger began training at the age of 4 years and 10 months. She loved working with the younger students at Marc Unger Karate. She has been active in different sports over the years including gymnastics and soccer. She was promoted to 2nd Degree Jr. Black Belt in August, 2007. Anna currently lives and works in Washington State. Her passion is teaching dance and choreographing plays. Marc the 3rd is currently the last in the Unger line of warriors. He is 20 years old and is a 1st Degree Black Belt. H loves to work with weapons, particularly the staff, and escrima sticks. He began training at the age of 4 with his father and likes to work take downs and grappling techniques. He is currently enrolled at Elizabethtown College pursuing his degree in Political Science with a minor in music. He is fluent in German and loves traveling abroad.